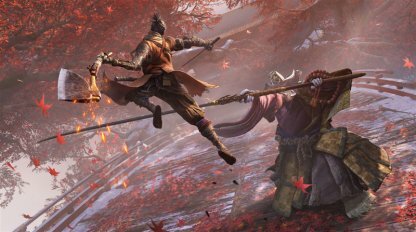 Check out this Sekiro: Shadows Die Twice guide to learn about all the game's combat style and skill trees, which skills & abilities to prioritize, how to unlock, effects of each skill and more! Talk to the Sculptor after earning one Skill Point or filling up your experience bar once. He'll give you the Shinobi Arts Esoteric Text after. Talk to the Sculptor after fitting three different Prosthetic Tools. You'll unlock the text when you've given the Sculptor three different materials to create Prosthetic Tools. Check Out The All Prosthetic Tools List Here! 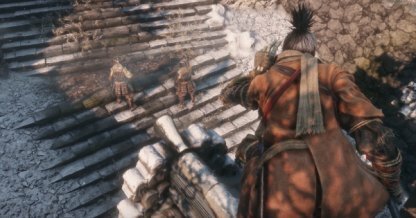 Talk to Tengu in the Ashina Castle after you've completed his quest for him. You need to eliminate a couple of enemies for him to unlock this skill tree. 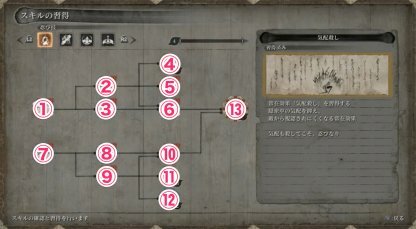 In order for you to unlock the Temple Arts Esoteric Text, you will need to reach a temple in the Senpou Temple, Mt. Kongo area. Below are the steps needed to get there. From the Senpou Temple, Mt. Kongo Main Hall Sculptor's Idol, make a left, and take the first right. You will see a door to your left that leads outside. Exit that door to find a new doorway in front of you. After entering the doorway, continue following the path until you drop down into a relatively large area. 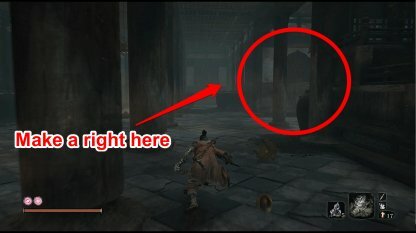 Turn around to see an area with a small opening. 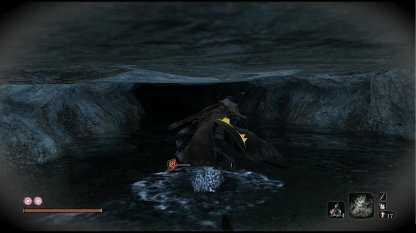 Crouching down will let you enter and pass through the small cave. You will know you're in the right area when there is water around you and your feet. 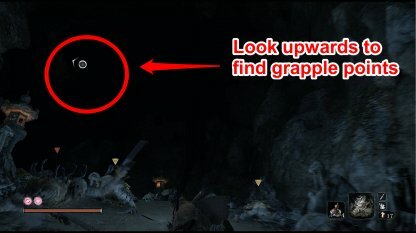 After exiting the cave, climb upwards to find yourself in an area with a lot of mutated enemies. Grapple upwards to reach the summit and the temple. Open the temple to find the Senpou Esoteric Text. 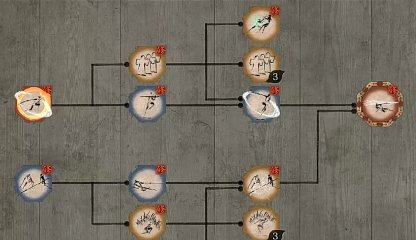 The Esoteric Text will only be given to you once you've unlocked the Secret Technique of any of the skill trees that you have. 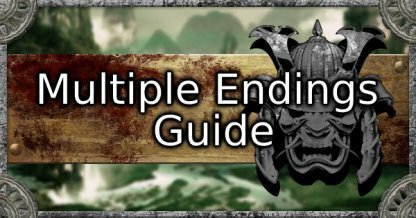 You don't need to unlock all the skills of a skill tree just get to the the end of it. 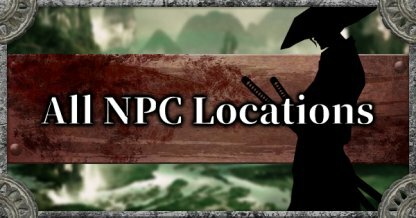 Head on over to the Great Serpent Shrine where you will find Tengu. Talk to him and he'll give you the Mushin Esoteric Text. 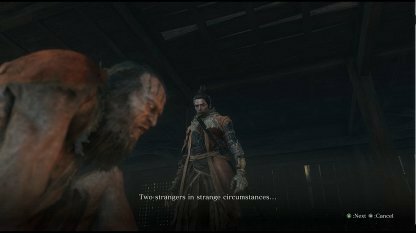 You can only find him there before the Interrior Ministry attack in Ashina. 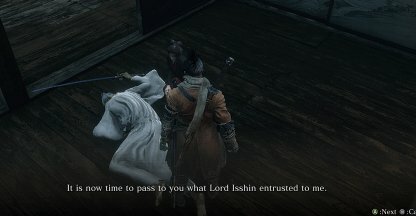 If the Interior Ministry have already invaded Ashina, Tengu will not be in the Great Serpent Shrine anymore. 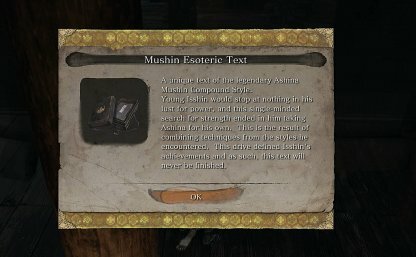 You can still get the Mushin Esoteric Text by talking to Emma there who will then give it to you. 1. Whirlwind Slash 1 Spinning attack that hits several targets. 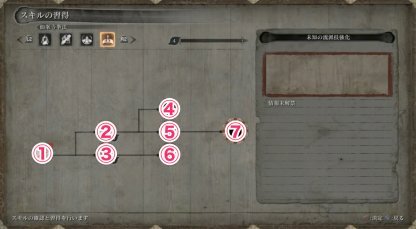 (Latent Skill) 2 Increases max amount of Spirit Emblem stack. 3. Mid-air Deflection 1 Can guard from enemy attacks while mid-air. 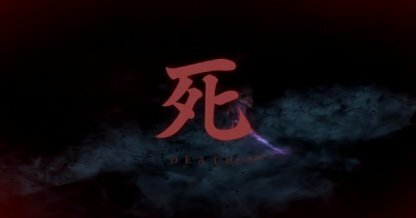 (Latent Skill) 5 Heals health with successful Deathblow. 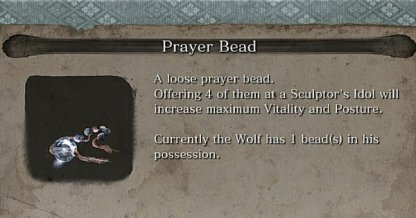 (Latent Skill) - Increases max amount of Spirit Emblem stack. 6. Mid-air Combat Art 3 Can perform Combat Arts in mid-air. 7. Mikiri Counter 2 Counter attack by stepping on enemy's weapon. 8. Run and Slide 1 Slide into crouch from sprinting. 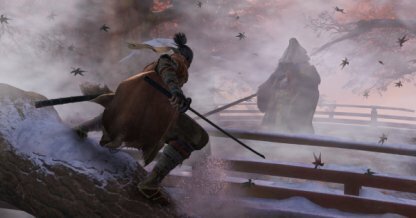 (Latent Skill) 2 Silent movement when in stealth. (Latent Skill) 3 Increases stealth movement. 12. 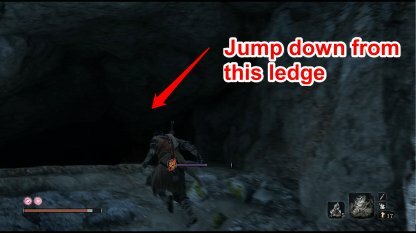 Vault Over 2 Jump over and behind an enemy with broken Posture. 13. Shadowrush 6 Long-range thrust into an enemy to be used to vault into the air. 1. Chasing Slice 1 Close gap towards enemies with a forward slice after use of Prosthetic Tools. 2. Mid-air Prosthetic Tool 3 Can use Prosthetic Tools in mid-air. 3. Fang and Blade 2 Simultaneous attack with specific Prosthetic Tool and sword or follow-up attack from Prosthetic Tool. 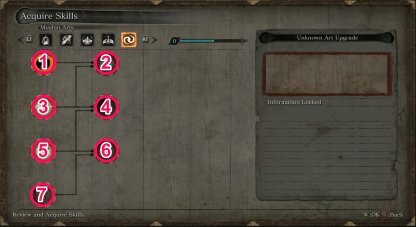 (Latent Skill) 3 Increases max amount of Spirit Emblem stack. 6. Projected Force 1 Releases power of specific Prosthetic Tool into a forward direction. 7. Grappling Hook Attack - Use Grappling Hook to launch towards enemy with a rolling sword attack. 8. Nightjar Slash 2 Spinning jump move that can close or enlarge gap from foes. 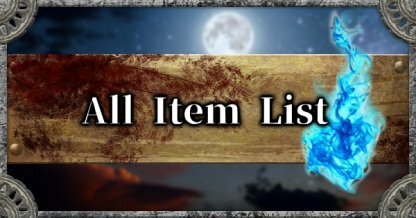 (Latent Skill) 4 Recovery item effects are increased. 10. Nightjar Slash Reversal 3 Spinning leap attack that can close or enlarge gap from foes. (Latent Skill) 5 Recovery item effects are increased. 1. Ichimonji 2 An overhead, heavy sword attack. (Latent Skill) 2 Increase damage to enemy's Posture after successfully deflecting. (Latent Skill) 1 Increase damage to enemy's Posture a few seconds after deflecting. 1. Praying Strikes 2 Successive elbow & arm strikes that prevent counterattacks. 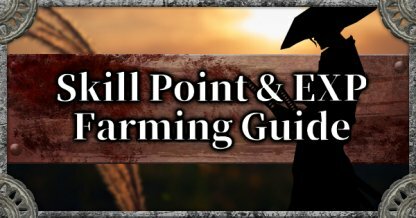 Check Out How To Farm Skill Points Here! 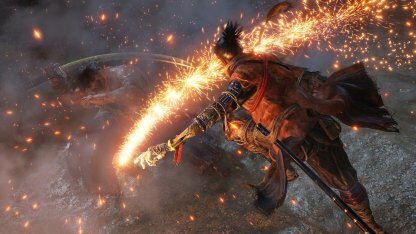 When using Prosthetic Tools such as the Loaded Shuriken or Firecracker, you can press R1 to dash forward, close the distance between you and your enemy, then deal an attack. A Grappling Hook Attack that can be dealt by pressing R1 while you're traversing along with your Grappling Hook. You can deal damage to enemies even if you're on the move. Steps one enemy's blade and cancels the attack. Does major damage to enemy Posture. 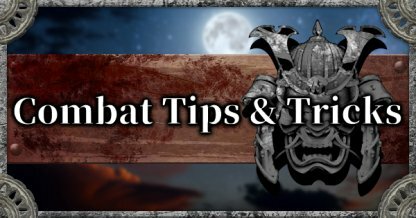 An effective Skill against enemies with spears or thrust attacks. Press the ◯ at the right time to execute this move successfully. Increases effectiveness of recovery items. 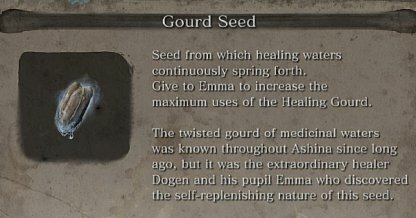 Emma's Medicine and other Skills such as Breath of Life give you more effective recovery options. This makes it easier to survive the battles and last longer in fights. 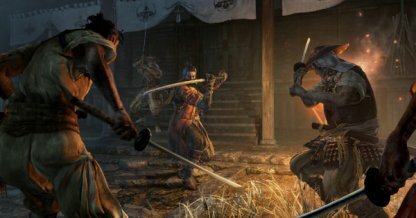 In Sekiro: Shadows Die Twice, Sekiro progresses via a skill tree system which unlocks Combat Arts or Techniques, which are active abilities which you use by pressing a corresponding button. 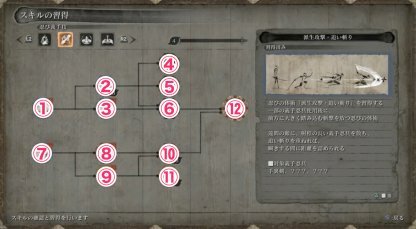 You can also learn passive abilities via the skill tree. 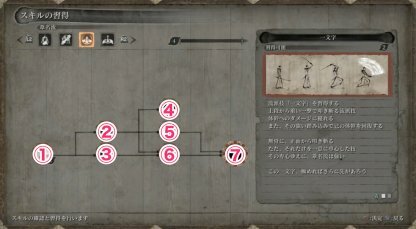 Skill Points are used to progress through the Skill Tree. You will unlock new Skill Trees by acquiring special "Esoteric Text" items throughout your journey. 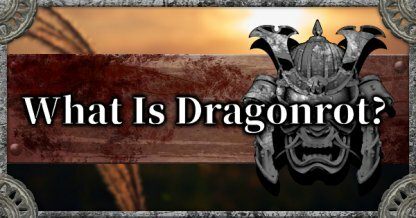 These Esoteric Texts can be acquired from certain NPCs or hidden in the map. Players will earn Skill Points through gaining experience. 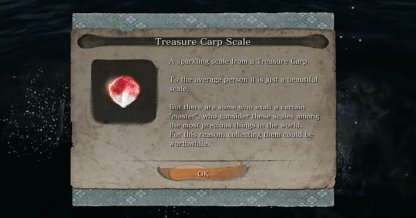 Beating bosses and enemies reward you experience, and gaining a certain amount of experience nets you Skill Points. 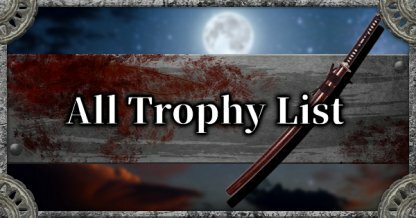 Skill Points are spent at any Sculptor's Idol which can be found across the world. Each skill will require a number of Skill Points to unlock. what happened to this article? did someone change it? it was better before.